I am the Henry M. and Elizabeth P. Wiesenfeld Professor in Political Economy at the Sociology Department and the Paul H Nitze School of Advanced International Studies of the Johns Hopkins University. My scholarly interest includes global political economy, protest, nation-state formation, social theory, and East Asian Development. I received my bachelor degree from the Chinese University of Hong Kong, my MA degree from SUNY-Binghamton, and my PhD degree in Sociology from Johns Hopkins. Prior to joining the Hopkins faculty, I taught at the Indiana University-Bloomington. Ho-fung Hung is the author of the award-winning Protest with Chinese Characteristics (2011) and The China Boom: Why China Will not Rule the World (2016), both published by Columbia University Press. His articles have appeared in the American Journal of Sociology, the American Sociological Review, Development and Change, Review of International Political Economy, Asian Survey, and elsewhere. His research publications have been translated into seven different languages, and are recognized by awards from five different sections of the American Sociological Association, Social Science History Association, and the World Society Foundation of Switzerland. His analyses of the Chinese political economy and Hong Kong politics have been featured or cited in The New York Times, The Financial Times, The Wall Street Journal, Bloomberg News, BBC News, Die Presse (Austria), The Guardian, Folha de S. Paulo (Brazil), The Straits Times (Singapore), Xinhua Monthly (China), People’s Daily (China), among other publications. Ho-fung Hung. 2015. 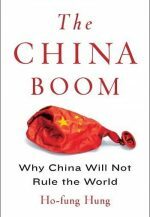 The China Boom: Why China Will Not Rule the World. New York: Columbia University Press. Ho-fung Hung. 2011. 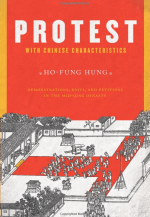 Protest with Chinese Characteristics: Demonstrations, Riots, and Petitions in the Mid-Qing Dynasty. New York: Columbia University Press. Ho-fung Hung. ed. 2009. 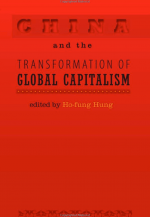 China and the Transformation of Global Capitalism. Baltimore, MD: Johns Hopkins University Press. Ho-fung Hung. 2017. “World Capitalism, World Hegemony, and World Empires.” Claudio Benzecry, Monika Krause, and Isaac Ariail Reed ed. Social Theory Now. Chicago: University of Chicago Press. 105-29. Ho-fung Hung. 2017. “The Global, the Historical, and the Social in the Making of Capitalism.” Julian Go and George Lawson. ed. Global Historical Sociology. New York: Cambridge University Press. 163-81. Ho-fung Hung 2016. “From Qing Empire to the Chinese Nation: An Incomplete Project.” Introduction in Ho-fung Hung. ed. Themed Section on “China’s Periphery Nationalisms” Nations and Nationalism. Vol. 22, No. 4. 660-665. Ho-fung Hung and Daniel Thompson. 2016. “Money Supply, Class Power, and Inflation: Monetarism Reassessed” American Sociological Review. Vol. 81, No. 3. Ho-fung Hung 2014. “Trois visions de la conscience autochtone à Hong Kong.” Critique n° 807-808 août-septembre 2014. Ho-fung Hung and Ip Iam Chong. 2012. "Hong Kong Democratic Movement and the Making of China's Offshore Civil Society" Asian Survey. Vol. 52, No. 3. Ho-fung Hung. 2008. “Agricultural Revolution and Elite Reproduction in Qing China: The Transition to Capitalism Debate Revisited.” American Sociological Review. Vol. 73, No. 4. 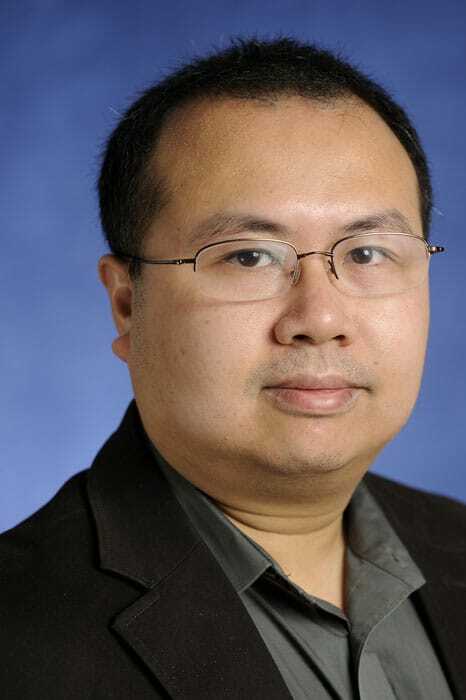 *Co-winner of ASA’s Political Sociology Section Best Article Award 2009, Asia and Asian American Section Best Research Paper Award, and honorable mention of ASA’s Comparative & Historical Sociology Best Article Award 2009. Cited in an article in The Atlantic. December 2018. Cited in an article in Financial Times. December 2018. Cited in an article in Geneva’s Le Temps. October 2018. Cited in an article in The Wall Street Journal. August 6, 2018. Featured in an article in Deutsche Welle (DW). March 14, 2018. Interviewed in an article in The Wall Street Journal. March 12, 2018. Featured as one of the 21 scholars in the TV documentary film Capitalism: A Six-Part Series (Icarus Films 2015, with English, French, German, and Chinese versions). Featured in article in Kurier. April 26, 2017. Featured in article in PressReader. April 26, 2017. Featured in an article in The Washington Post. March 26, 2017. Interviewed in an article in Time. March 26, 2017. Interviewed on RT News. January 16, 2017. Interviewed at The Real News Network. December 7, 2016. Participated in a discussion in Asia Society. December 5, 2016. Featured in an article in Trend. October 20, 2016. Participated in Sino-US Colloquium (X) US-China Policy for the Next Administration. September 26, 2016. Interviewed in an article in ChinaFile. July 20, 2016. Interviewed in article in World Policy Blog. January 29, 2016. The China Boom: Why China Will Not Rule the World featured in an article in Forbes Magazine. January 27, 2016. Interviewed in an article in The Real News on January 11, 2016. Cited in Columbia University Press blog on December 1, 2015. Cited in an article in Quartz on November 30, 2015. Participated in Foreign Policy Magazine forum on November 8, 2015. Quoted in the Quartz What is the meaning of the umbrellas in Hong Kong’s “Umbrella Revolution”? Cited in the January 22, 2014 Associated Press Beijing report titled, "Report Links Chinese Elite to Offshore Tax Havens"
Interviewed live on WABC’s John Batchelor Show. View the youtube segment. Interviewed on LA based station KPFK on the “Beneath the Surface” program about China’s debt crisis on Friday, April 19. Ho-fung's portion of the interview begins at 43:00.